Posted on April 3, 2015 by Cynthia G.
It is just after World War II, and Tom Sherbourne returns to his native Australia seeking solace and normalcy after enduring the horrors experienced as a soldier on the Western Front. Kind, thoughtful, and meticulous Tom lands a job as lighthouse keeper on the island of Janus. It’s lonely work, but Tom enjoys the routine, and quiet accountability of helping to assure the safe passage of cargo and passengers off of Australia’s shoreline. He sets about making repairs to the Light, and keeps strict and meticulous records of all activity on Janus, as is his responsibility. Tom can be trusted to do a job well, and he takes great pride in being a man to be counted upon to do the right thing. To his great good fortune, if not his great surprise, Tom meets Isabel Graysmark while on leave from Janus. Isabel is everything Tom is not: gregarious, creative, outgoing. Isabel doesn’t so much seduce Tom as declare that their match is right and inescapable. An epistolary courtship follows and on his next leave from the island, Tom and Isabel are married. They return to Janus a couple, starting their life together in their own little island world. Isabel suffers a series of pitiful miscarriages, each one stealing a little more of her light. And then one day a rowboat washes up on the island carrying a dead man and a live baby. Of course, Tom is inclined to report the incident, as is his natural and assigned responsibility. But Isabel, having lost three babies and one only recently, has been delivered an infant in need of a mother. She convinces Tom to delay reporting the body and the baby. Eventually all lines blur and Isabel names the baby Lucy and insists she is their own. As much as he loves her, Tom cannot totally reconcile baby Lucy as his; instead arguing that she belongs to someone, somewhere, who surely grieves her loss. Isabel has no such qualms. She considers Lucy a gift from God, and being mother to the little girl in all ways feels as natural to her as breathing. Like all secrets, Tom and Isabel’s slowly unravels. On a trip to the mainland Tom encounters a woman whose child was lost at the same time that Lucy was found. Tom is devoured by guilt. On the night before the Sherbourne family is to return from the mainland to Janus, an anonymous note is found in the grieving mother’s mail box. A cryptic hand-written message assures the woman that her daughter is loved. A second trip to the mainland, a second hand-written message, and the Sherbourne’s story dissolves like paper in water. Baby Lucy is reunited with her birth mother, while Tom claims all responsibility for the deceit to protect Isabel. Following her betrayal, Isabel suffers an emotional breakdown, rejecting Tom. Lucy is torn from the loving embrace from the only mother she’s ever known, and is inconsolable, rebuffing this stranger who now possesses her, her birth mother. 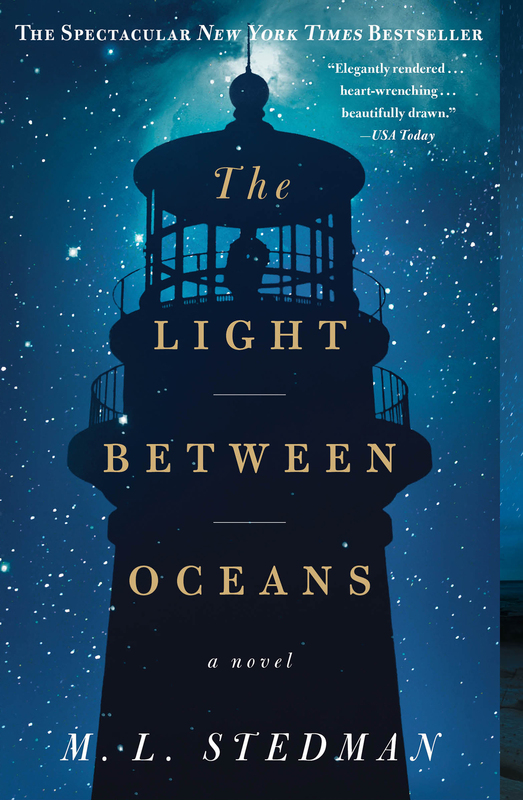 The Light Between Oceans is about finding one’s way in uncertain waters. It is a book that deftly examines the choices we make, and living with the inevitable outcomes. It is about love and courage and doing the right thing. It is a book not to be missed. Cynthia G.
This entry was posted in blogging, book review, family, fiction, insights, literature, musings, novel, parenting, perspectives, Relationships, romance, writing and tagged adoption, Australia, debut novel, foundling, foundlings, lighthouse, love and uncertainty, marriage, mothers and daughters, parenting ethics, war veteran by Cynthia G.. Bookmark the permalink.